Get the vibe with the video from the 2011 event. 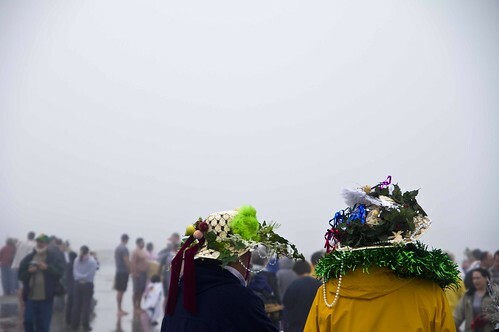 Update January 2: Temperatures in the 70s, a turnout of 400, and no Portuguese man-of-war reports — sounds like a perfect day. The Island Packet has a report and a couple photos (get them here) and the blogger behind Brooks Sabbatical has some photos (get them here). 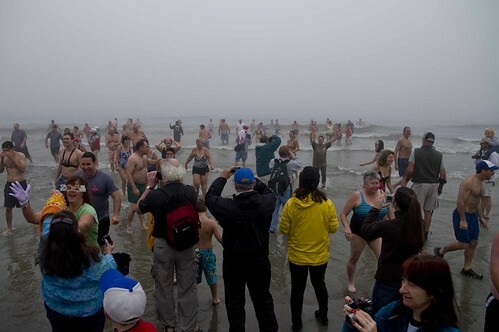 Meanwhile although the Hilton Head event was canceled, some 5,000 came out for Tybee's polar bear plunge. Update December 29: Although a surprise invasion of Portuguese man-of-wars﻿ lead to the cancelation of a similar event on Hilton Head Island, it's so far, so good on Hunting Island. 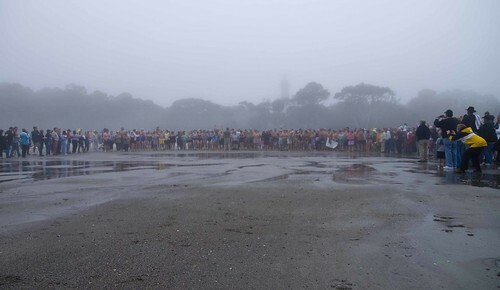 Event organizers have been in touch with staff at Hunting Island Park and there has been no similar outbreak of jellyfish — although event organizers still plan to asses conditions on Sunday morning, adjusting plans if necessary. They will also have emergency medical staff on site as always just in case. 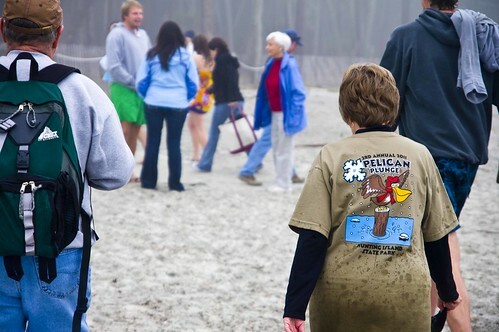 First reporting: The forecast is calling for a 66 degree high but the annual Beaufort polar bear plunge won't be deterred, the 4th Annual Pelican Plunge is slated for New Year's Day with water temperatures in the mid-50s. You can check out a video of last year's fun up top and see some photos below. 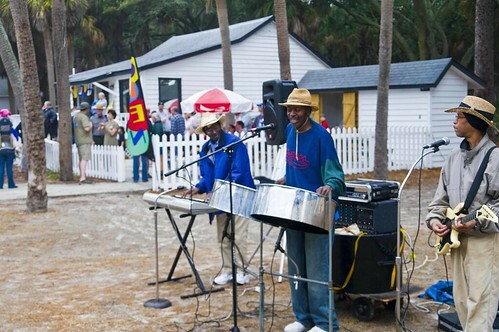 The event raises money for educational programs like the "Discover Carolina" State Park programs. Last year $3,500 was raised. If you'd like to take the plunge, fill out this sheet and bring it along with your donations to the day of.